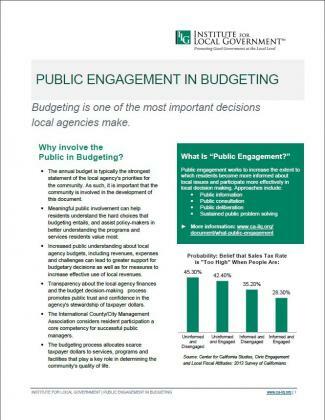 Budgeting is one of the most important decisions local agencies make. 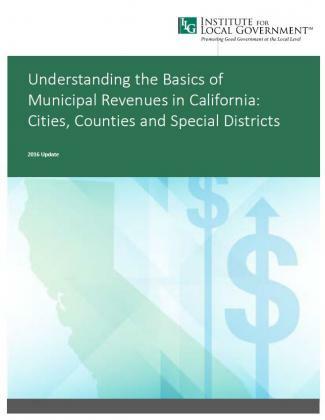 These key resources are designed to help local agencies match resources to community needs. 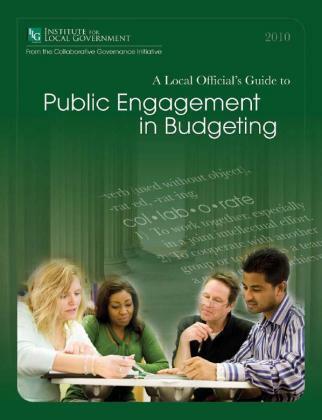 This short four page publication provides an overview and a basic understanding of public engagement and budgeting plus links to more detailed information.